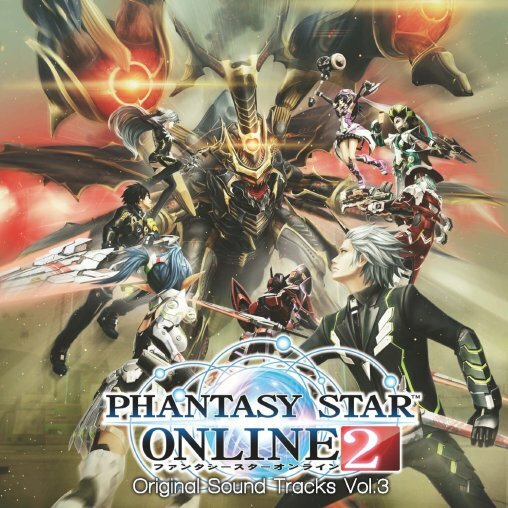 Phantasy Star Online 2: Original Soundtrack Volume 3 is set to release on December 24th, 2014. This four disc set features music from Mining Base Defense, the Mother Ship, and Planet Harukotan. Vocal tracks like Episode 2’s ending theme “Living on Like Stars,” and Quna’s concert song, “Neverending Story,” are also included. Customers who purchase the soundtrack will gain access to item codes for music discs with select songs from the album. I would really like to buy this; does anyone know how to purchase it? Forgive my ignorance for the song names are confusing me a bit. Is Dark Falz Loser’s theme on here? (“IDOLA” makes me think yes). What about the song that plays when Anga Fundarge appears (& other Ultimate Quest song(s))? I would shell out 45 bucks for those songs alone. I love the idea of using italian words for some titles but they should be written correctly: la L’inno per il IDOLA is grammatically wrong; “la” should be removed, or at least moved near “idola” since it’s an article for femminine words. “L’inno per l’Idola” is correct. And “onnipotente” that means almighty is an adjective, so it doesn’t need a preposition before. “Persona onnipotente” is correct. No off vocal for Kuhna’s third song? You only get off vocals on singles. It is rare, very rare to see off vocals in albums, OSTs, etc. Maybe if Eri Kitamura releases a PSO2 single with her PSO2 songs only, then you’ll see it. Buff info on the concert was wrong, it was only 10%. That or I got screwed. Sorry if it wasn’t clear, but all concerts give a 10% “Live” boost. Adding that to the Livestream’s boost would give you a 250% boost when the Emergency Quest appears. So I got the soundtrack CD off of play-asia…but I don’t think I got the codes for the in-game discs and DJ booth. Are they hidden in the box somewhere, or did you have to purchase the soundtrack directly from SEGA to get the code? I don’t own it but sometimes they hide them behind the cd booklet or something of that sort. Though depends on how recently you obtained it, since if I recall, that part was limited, but I could be wrong. Least you got expensive room decos and music for free (technically! ).